On our second stop, it's not the bright lights of Quezon Avenue strip clubs but the amazing chicken wing flavors of Crazy Wings. 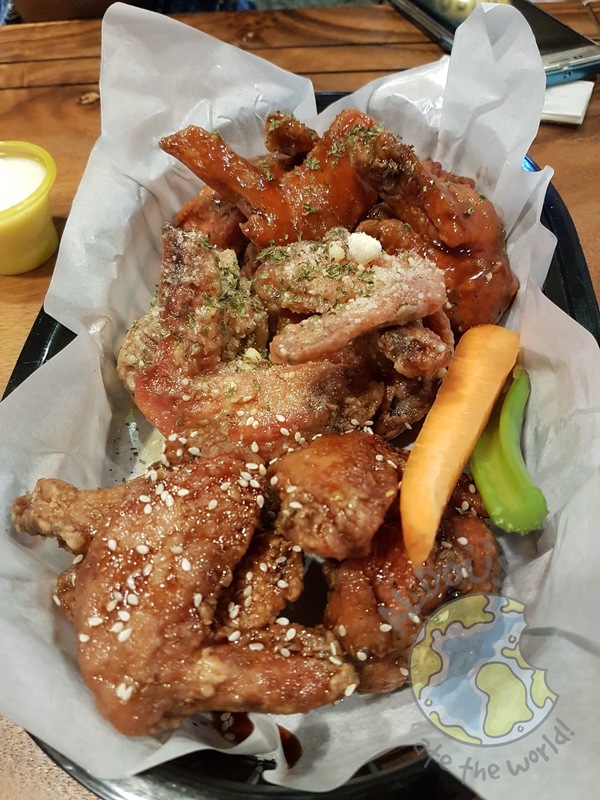 A food park ain't complete without chicken wings and we sure got a lot of that. 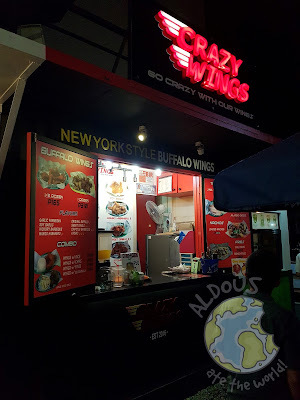 We had a dozen wings which had 3 flavors of 4 wings each. 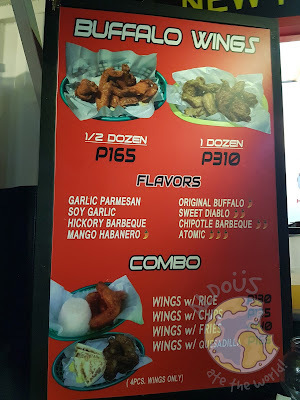 The flavors we had were Garlic Parmesan, Soy Garlic and Sweet Diablo.Garlic Parmesan is my favorite, Soy Garlic is good also but I didn't try Sweet Diablo since it's spicy. 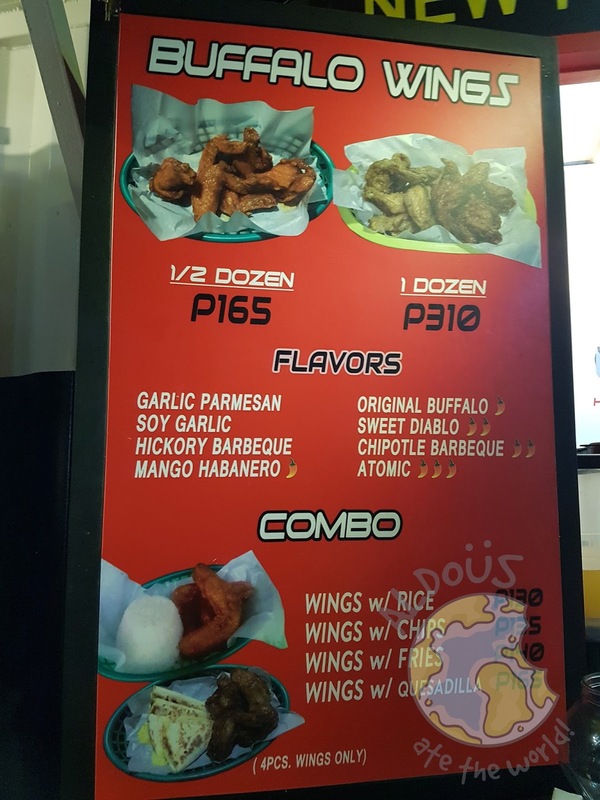 I'm sure spicy food lovers will love it though.